What is a FlightShield Coating for SeaTac Vehicles? Are you tired of spending time and money waxing your vehicle every month? Searching for a better way to protect and enhance the look of your car or SUV? FlightShield coating is the answer. 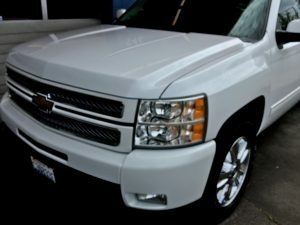 Signature Auto Detail provides FlightShield coating service to clients in SeaTac. Regardless of the make or model of your vehicle, come to us for a quality FlightShield coating job done right, the first time. Car paint protection is an investment in your vehicle. We are car paint protection experts serving clients in SeaTac and its surrounding areas. Whether you drive a car, SUV or a truck, we can protect and improve the look of your vehicle with car paint protection. We are proud to offer FlightShield car paint coating to our customers. FlightShield is one of the leading brands in the car paint protection industry. We have many years of experience providing car paint protection services, so you can be sure your vehicle is in good hands. 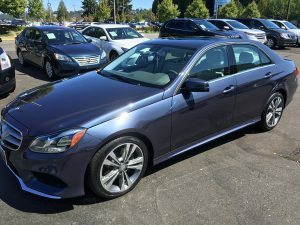 Why Do SeaTac Residents Choose Us for This Car Paint Coating? Over time a vehicle’s paint job can look dull and old. Keep your vehicle looking like new for years to come with our professional car paint coating services. A car paint coating makes your car maintenance requirements easy and less stressful. If you have any questions or concerns regarding car paint coating, our friendly, knowledgeable staff is available to answer them. 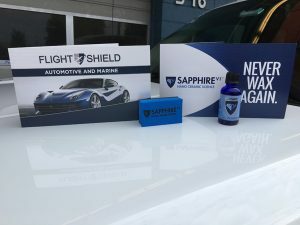 For more information on the benefits of choosing FlightShield car paint protection for your SeaTac vehicle, please call the pros at Signature Auto Detail at (425) 687-2700.